Sure, Facebook is the king of social media, but it is also true that there’s no such thing as organic reach on Facebook. As a social media marketing agency, we need to explain it to the clients multiple times. Facebook is undoubtedly the best online platform to advertise and promote your Brand. If stats are to be believed, it has crossed over 2 billion active users. 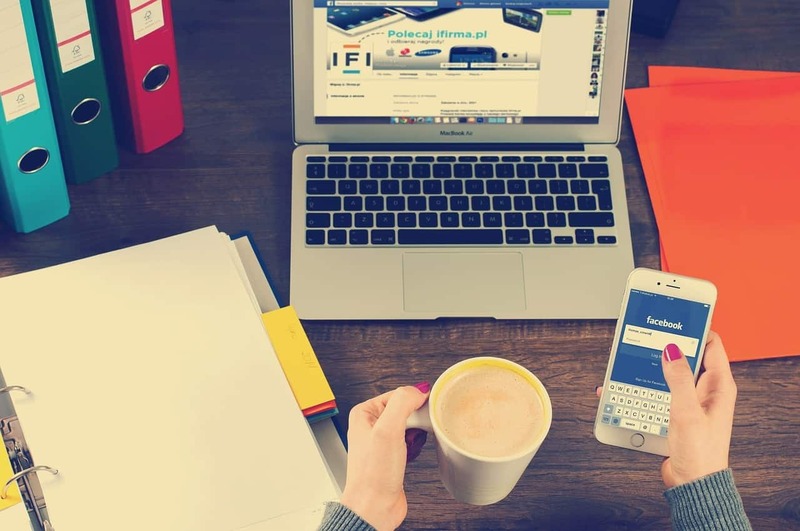 It’s our daily routine to promote the brands on Facebook / Instagram and run ad campaigns. 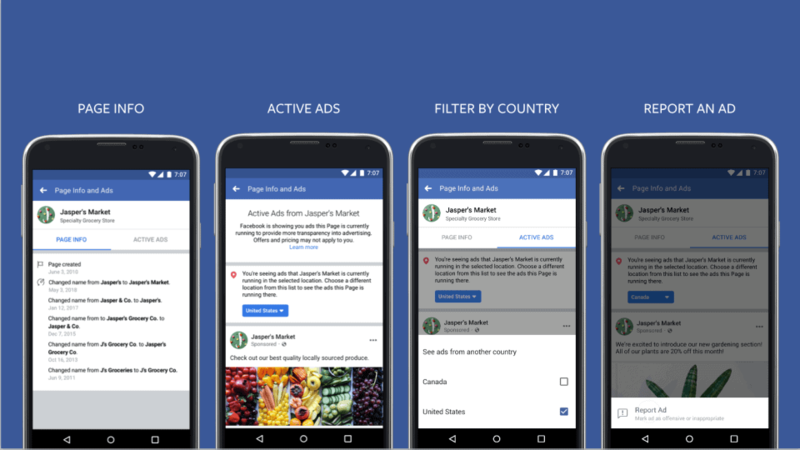 But recently Facebook has introduced Ad Transparency which has caused Advertisers and Marketers to note down a lot changes. Doesn’t matter if a brand is famous or recently launched; they use Facebook for their promotion. Some of them might run a single ad at a time where as others might run multiple ads together. But we would never know which pages are running ads and if they are then what number of ads they are running. The new feature of Facebook answers this query of the users. The Ad Transparency Tool will allow users to see each and every ad that page is currently running. How does Ad Transparency update works? Every Facebook page now has a new button named ‘Info and Ads’. 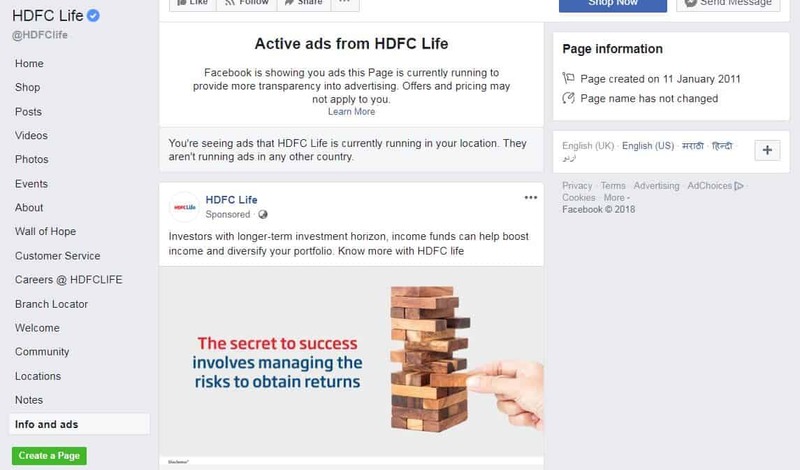 Once you click on it, it will show you all the ads that particular page is running on Facebook, Instagram, Messenger, and Facebook partner network. It will also have an option to report the ads. Check the image below. 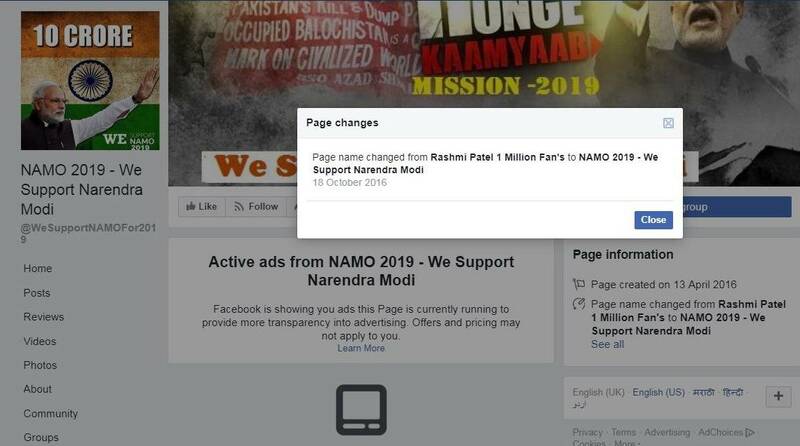 And that is not all, Facebook has decided to be more transparent about the page information too. For example – the page above was created in January 2011 and is still active with the same name, but same can’t be said about the one below! 1) Research Point of View: The Ad Transparency Tool can help you a lot in your research. It can show you what kind of content the other pages are using, what theme posts they are making and on. You can use this information while making Marketing Strategies for your Brand. 2) Reveal your Game Plan: You can now let your audience know what you are planning and what you are going to execute. If you have some creative idea for your ad campaign then you can reveal it not only to the audience but also to your competitors. In other words, your competitors will know that this idea has already been taken. In addition, people outside from your target audience can also see your work. You can even inform your viewers about upcoming offers or contests. 3) Peek into your Competitor’s Strategy: You should never ever underestimate your competitor. Peeking into their strategy doesn’t mean copying them. Just know what they are up to. In case they are planning something huge; it’s time for you to put your thinking hats on! Moreover, it will give you an idea of what people your competitors are targeting, how many ads they are running and how many variety of ads they are using. 4) Get Inspired by Other Pages: We know it’s not an easy job to promote the same thing over and over again. In order to make sure that you don’t run out of creative ideas you can visit other pages of famous brands and check out their way of marketing. Just look for the concepts which you can change and execute in your own way in future. For instance, if you are looking for a creative idea to make an engagement post then you can check other famous pages for some inspiration. 5) Your Metrics will Remain Safe: The Ad Transparency Tool raises a valid question which every Advertiser will think of i.e. Will my data remain secured? The answer is Yes- your data will be unaffected thanks to Facebook which has restricted the interaction on the advertisements. The audience will not be able to like, share and comment on the ad and the only option they will be having is ‘Call to Action’. 6) Increased Authentic Messages: Imagine you are scrolling down your newsfeed and you come across and ad which you find appealing. You might respond to it by liking and commenting on it and you might even enquire about the price. Yet you may or may not consider buying it. But, if you are looking for buying the same product then you wouldn’t mind tracking down its page and checking out its ads for more information. Along with this, Twitter has also introduced Ad Transparency. You can check the ads from the brands by searching the specific handle. Once you hit search, it will show you the ad creatives for all the campaigns that account has run for the last week. For U.S., Twitter has taken it a step higher – the Twitter users will be able to see billing information, demographic targeting data, ad spends, and so on. What do you think about this new update? Do you think it will help bring more transparency by the brands? Or it will create complications for the marketers? Write to us at collabs@theimpulsedigital.com or connect to us on Facebook / Twitter / or Instagram. The blog post will surely informs more about facebook ad transparency. Thanks for the information.